Our regularly updated news section covers all our latest business developments including details of new contracts, completed projects, awards, specialist press features and news about our staff. Older news stories can be found in our News Archive. Clean Room Construction Ltd has designs on Wales after securing three contracts in Bridgend, Neath and Carmarthenshire. 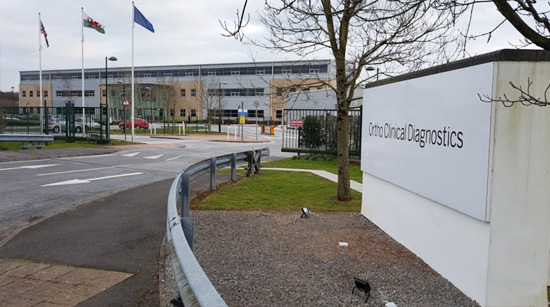 CRC has been awarded contracts to build a new manufacturing facility for MicroPharm, which produces antivenoms, and to design a new ISO 8 cleanroom facility for Ortho Clinical Diagnostics (OCD) at Bridgend for their immunoassay and immuno haematology products. CRC will also design, supply and install two separate airlocks for the blending/decanting area and main warehouse at Ecolab in Neath as well as a goods inward inspection booth. Ecolab is a global leader in water hygiene and energy technologies and services that protect people and vital resources. All three projects are scheduled for completion by spring 2019. CRC's Managing Director Steve Lawton said: "Clean Room Construction is proud to be working with the best of British science and technology companies that are specialists in their respective fields, leading the way in identifying groundbreaking solutions for the manufacture of antivenoms, early screening of diseases and water hygiene solutions around the globe."